Over the weekend I finally had a chance to get started on some yard work. I didn't get very far, but at least got our front porch and side porch cleaned up and switched out for the season. And, of course, there was a new project involved! Our hail storms were not kind to my favorite pots last summer, so I had several that needed to be replaced. I was drawn to this simple, slightly modern style that I found at Ross. And then, I decided they needed a little upgrade. They are a very square shape except for the slight taper at the bottom, so I decided that they would be easy to stripe. I didn't have any wide painter's tape on hand, but I had lots of Duck Tape! I tested it to make sure it wouldn't leave a sticky residue, and then got to work taping. 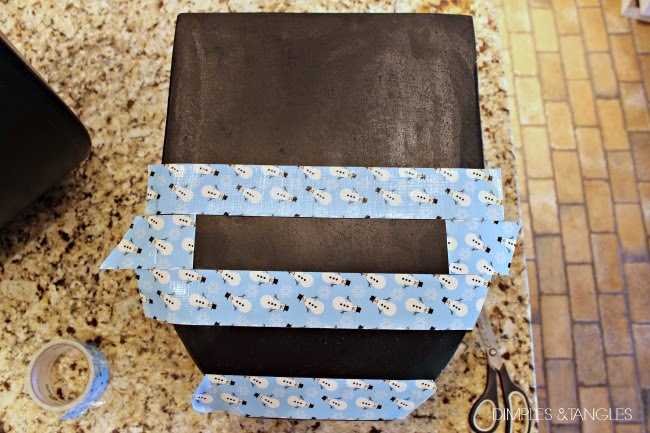 I don't think I would try the Duck Tape on a more delicate surface because it involves a good amount of tugging to remove it, but it worked great for this project! I used a couple of scrap pieces to measure the space in between lines and keep them straight. It worked out really well. I made sure to press down all the edges well so the lines would be crisp. Then, I sprayed a coat of primer, followed by 2-3 coats of glossy white paint. For a little added protection from the elements, I finished it off with a clear glossy spray sealer. 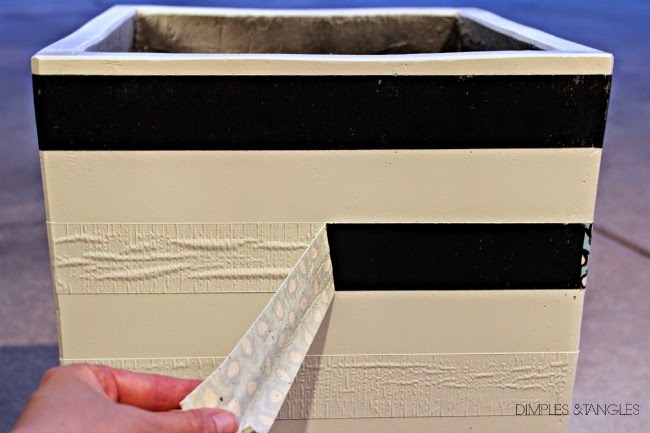 Be sure to peel the tape off as soon as you finish with your last coat. If you let it dry with the tape on, it's more likely that you'll be peeling paint off along with the tape. 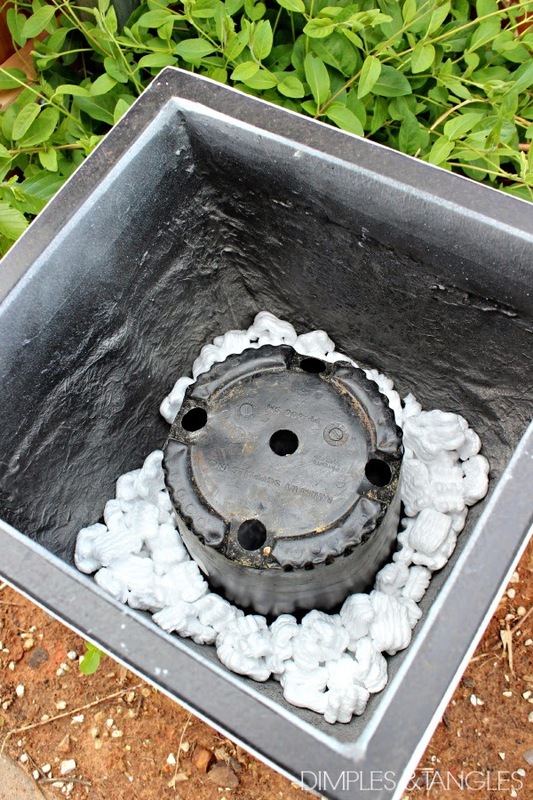 Here's a little trick I always use when planting large pots: I use an empty container of some sort in the bottom of the pot to fill up some of the space, or packing peanuts, or a mix of both. Then, I fill in dirt as usual. This keeps the pot from being so heavy and cuts down on the amount of dirt needed to fill the pot. Just FYI, I did cover those holes so dirt wouldn't sift down through them, but the drainage hole in the bottom of the pot is still functional. and I mixed my surviving graphic pot (also from Ross several years ago) with a larger striped pot on the side porch. 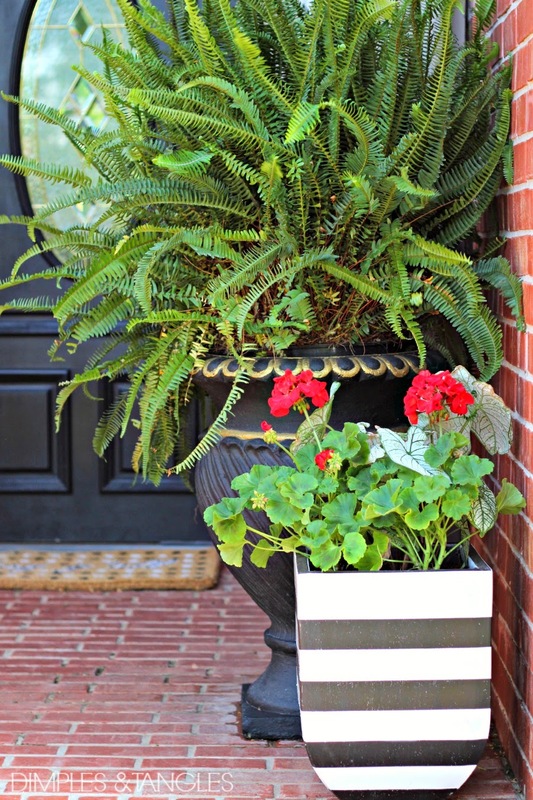 I only have one snag in my plan...after searching 7 Ross stores in our area, I could only find one that was the size I needed for the front porch. :( So, it's an odd arrangement right now, but I'm really hoping to come across one more some day to balance out the other. What do you think? A simple project with a big impact is just about one of my favorite things ever! they are so you! love them! Love the stripes, they look fabulous. Great makeover. I think they look great. Love them! You've been having some major luck at Ross lately! 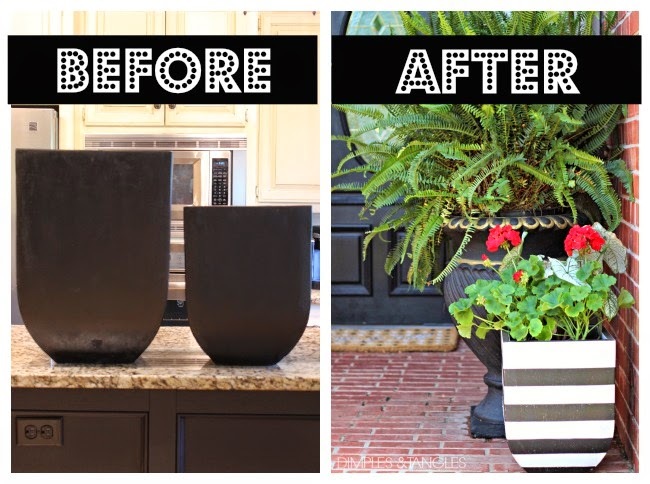 Love your fun new pots that let you get a taste of your style before you even walk in the door! LOVE the stripes! 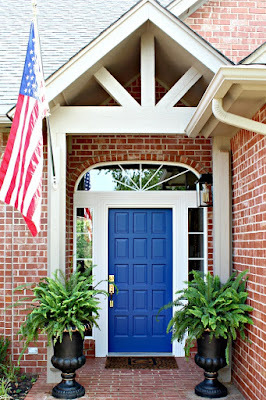 I think I may need to do something like this for our front yard! So cute! 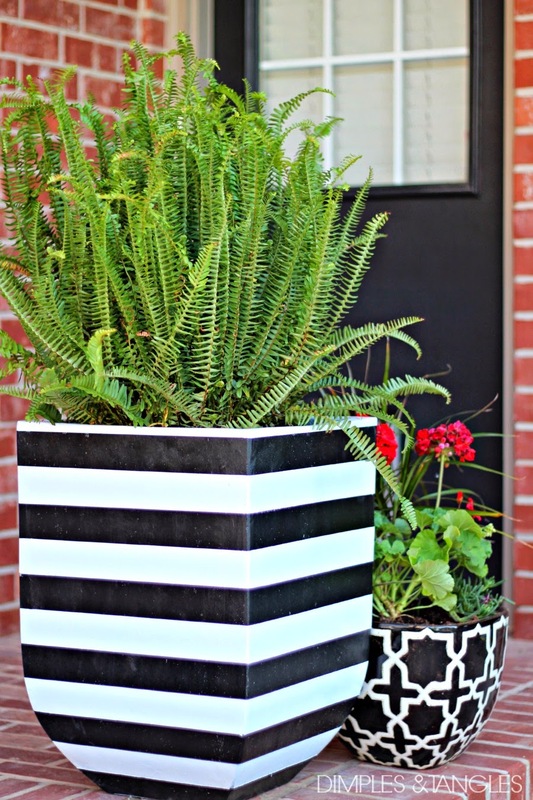 I'm out right now trying to find large white pots with lime green chevron stripes. I may just look for white ones and paint my own stripes! I love the graphic look. Thanks for the idea. Jennifer, I love this! What a great idea! I needed some inspiration for getting my yard back into shape! LOVE the stripes! They look so good! so pretty! I'm always drawn to black and white stripes! This looks awesome! 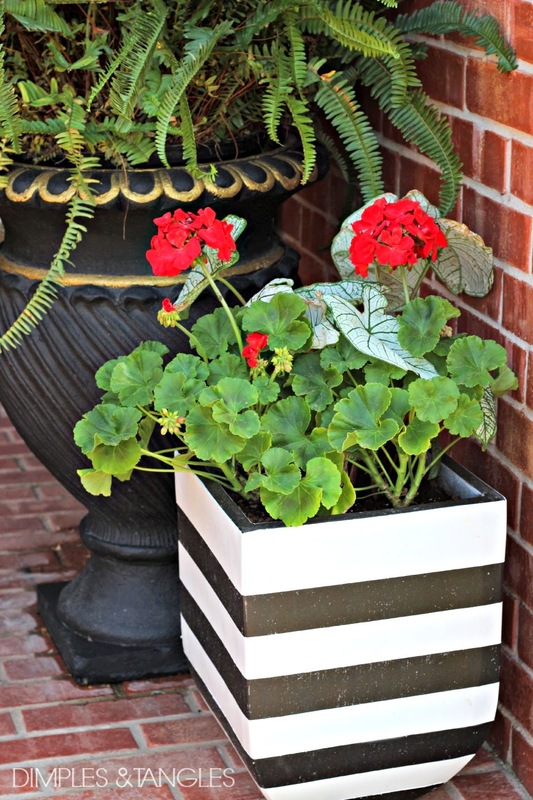 I just picked up similar pots at target & may have to give the stripes a whirl! Love it!! Yea, there's a pretty good chance I'll be copying you on this one! Love it! Love the pots....I'm a big fan of black and white. 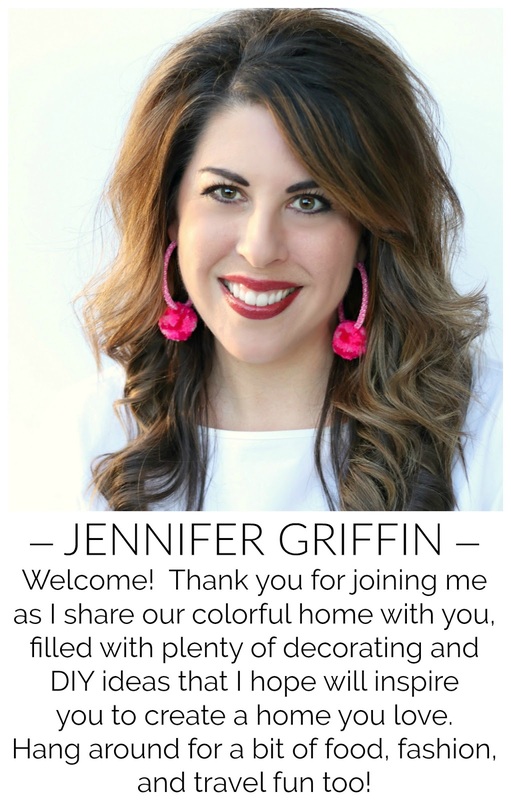 Love, love, love what you did Jennifer !!! Great pop for the porch. HEY! 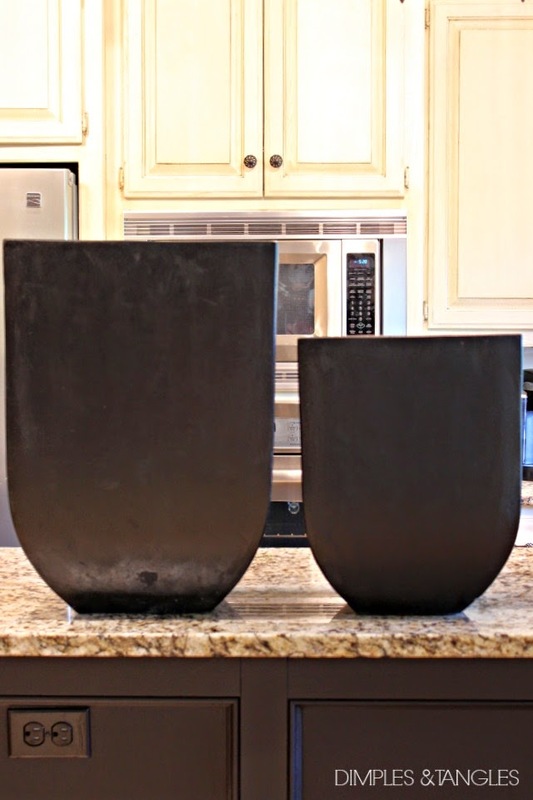 WOnderful idea - inverting a pot inside the larger planter to reduce soil weight! THank you for solving that common problem!! 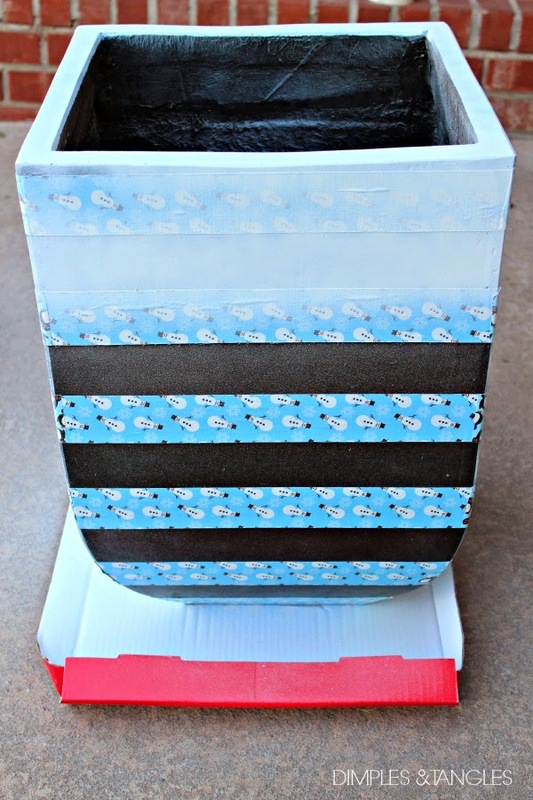 A great way to use that leftover holiday tape! 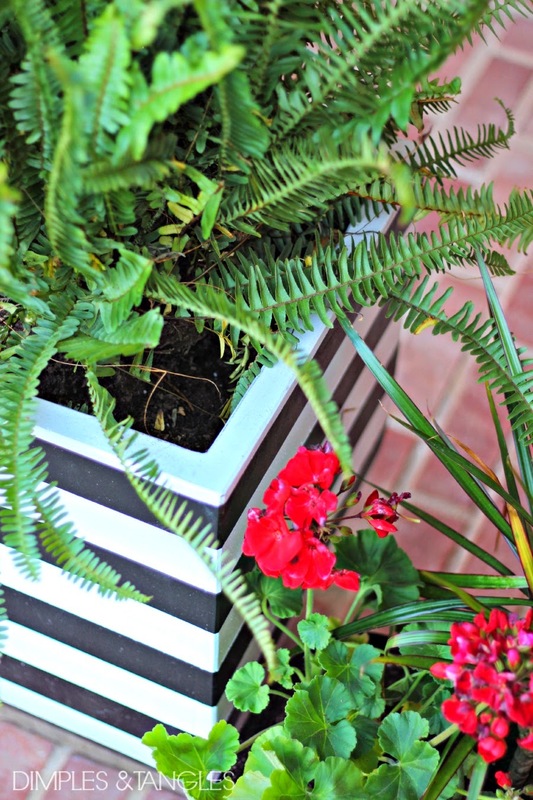 Love a b + w stripe! I love that punch from the stripes! So perfect for you with a green plant in it!!! Also the packing peanuts - genius! !